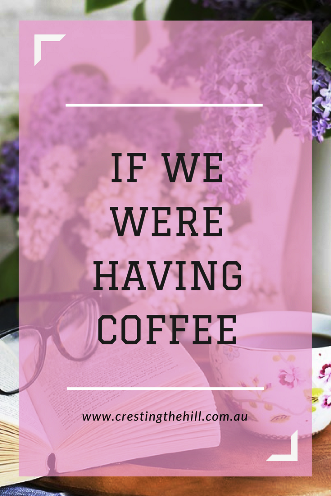 It's time to celebrate the end of September, Spring should be on its way soon down here in Australia - so, in the meantime, why not share another virtual cup of coffee with me while I update you on what's been going on in my life lately. I love a good 'Taking Stock' blog post, so I hope you'll humour me and sit a while as I share my news. This month there were five more lovely guests who joined me for Social Saturday: Trisha, Jo, Min, Tomi, and Donna this coming Saturday. Thanks to each of them and I've linked their post to their name if you missed any and would like to catch up. I also stole some thoughts from my lovely husband for two of my Thursday posts because they had some interesting insights into the concept of a Midlife crisis and how it can be positive rather than something to dread (they're HERE and HERE if you missed them). One of the many joys of a new grandbaby is that family gathers to welcome them - so (after delaying for a week due to my battle with Man Flu) we drove up to share lunch with our son and DIL, two delightful granddaughters, our daughter, and my Mum (who is the youngest looking great-grandmother on the planet!) It was a lovely time of catching up and laughing and enjoying each others' company. 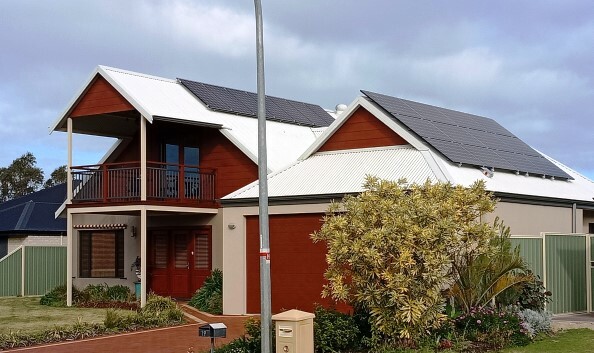 Australia has more sunshine than it knows what to do with, and one of the innovations that has been taking over homes everywhere is solar roof panels that offset the electricity you use and feed the excess back into the grid - giving you a credit with the electricity suppliers. I read recently that 25% of homes are now solar powered - and we've just joined the "in crowd" with 22 panels added to our roof - we are producing more power than we know what to do with and I'm looking forward to a much smaller electricity bill from now on! I've been a big fan of Anne Bishop's "The Others" series - quite a different take on the whole over-done Vampires and Shape Shifters genre. 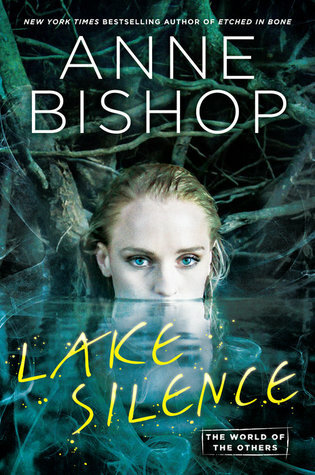 Lake Silence is the latest in the series and an enjoyable read. 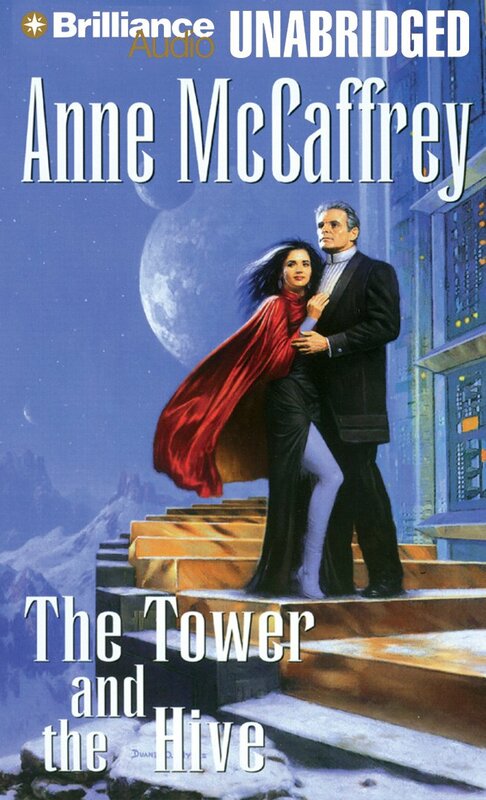 I also finished the last two books in the Anne McCaffrey series I started in August - next I'm off to read some of her Dragons of Pern novels. 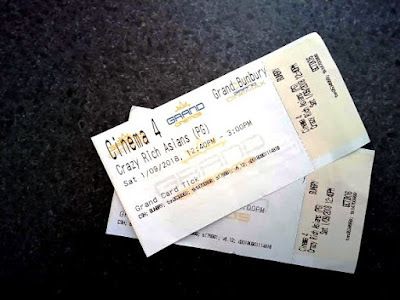 This month we went down the rom-com path and went to see Crazy Rich Asians - such a fun movie and a showcase of Singapore's best features - it was nice to be able to see places we'd visited but also to have a glimpse of them from the viewpoint of the filthy rich - it's amazing what money can buy! Is there anything interesting happening in your world? Feel free to update me in the comments and I look forward to having another virtual cuppa with you at the end of October (we should be well into Spring by then) and I'm sure there'll be lots to catch up on. We were just talking about that movie because it's gotten so much talk about it. We have it on our list to go see!! It was just a fun movie Jodie - light and airy and lots of great scenery and pretty clothes and pretty people - what's not to love? Wow, it's that time of the month already! I've ordered my black tea...Thanks for having me on your blog this month and congrats on the new grandbaby. You'll notice the difference with solar. We have it here & despite running the aircon all through summer our bills were a third of what they used to be in Sydney. Lovely catching up with you this way, Leanne! The biggest thing in my life right now is writing. That and we finally rented a motorbike - for one month, to start - which makes getting around much easier. Otherwise, life is remarkably the same. It often feels that way to me too Red - which is why my little coffee updates are always full of small things - but it's nice to find the nuggets of gold in the day to day existence - and a motorbike sounds like fun! Thank you Leanne and Min for your complimentary remarks. I look better from a distance than up close. Perhaps your eyesight isn’t quite as sharp in mid life as it used to be! But thank you both anyway. I also went to see Crazy Rich Asians and loved it. For me, it felt let being 'home' (the Asia part, not the crazy rich part)! Hi Donna - my mum was a very young mother which made her a young grandmother and great grandmother - but she's also a good looking woman and that helps (along with her smile that apparently comes from the Friend with Benefits!) And yes, Singapore's tourist trade will be booming after Crazy Rich Asians! I enjoyed our coffee catch up in the sunroom Leanne! I’ve just read the book Crazy Rich Asian’s but saw the movie first, I really enjoyed reading the book I must say!! Feeling a bit low today for some reason, so it was nice to have a chat with with you 😊 I love your photos with your family. It's always nice to read your monthly catchups Leanne, even if it's with a bowl of pumpkin soup rather than a cuppa!! We've talked about solar panels at times, but haven't decided whether to bite the bullet or not. I regret missing out on the hefty "rebates" that were available a few years ago, but what we really need to do is sit down and do the numbers. It would be nice not to get a shock from those dratted electricity bills for once!!! My mum contributed to ours Sue and that made all the difference! But also systems have gotten a LOT cheaper over the last few years - you can get a 6kw system for the same price a 3.5kw would have cost you five years ago. I'm looking forward to being less of a miser with our power ust - turning on the heating instead of grabbing a rug was a luxury over the last few weeks! Can't wait to use the aircon more in Summer! I always love to hear what other bloggers are doing in their day to day lives, so this was another fun read, Leanne. Love the solar panels on your home, and of course time with the grand kids is always priceless! I love catch up posts too Candi - they give you a little glimpse into other bloggers' backgrounds and it makes them seem more like friends doesn't it? 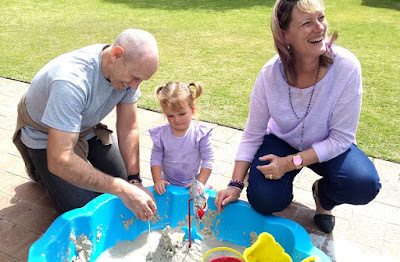 There really is nothing quite like grand-parenting, is there? And We've been thinking seriously about solar. We do get sun. Even here in the chilly north! Yikes... my earlier comment appears to have gotten lost in space. Anyway, I just wanted to say how lovely your granddaughters are and that my husband and I are considering solar panels too. We get a lot of sun here and it seems a shame to waste it. Another fun month for you Leanne and what could top being with the grandchildren? Isn't it lovely that they have a great grandmother as well? My children only had my Mum until Rachel was 4 years so it is very special for your all. Love the photo of you, Ross and Sophia in the sandpit. Have a great October and look forward to catching up for coffee next month. I feel the same way when we hit Autumn and all the US bloggers are putting up pictures of Spring blooms Alana. At least our Winters are mild - yours are much more extreme! We even get enough sun in Winter to keep the solar panels going - so they are dotted all over the place when you look at the neighbourhood rooves. Love your solar panels -- I hope to install them in our home someday if we can afford them - to save on electric bills and to help the environment, even if just a little. Great coffee catch up! My mum offered to contribute towards ours as an early Christmas present Janet and that was the decider for us. Also the cost has gone down significantly over the last few years and your get a lot more "bang for your buck" these days. I'm waiting for our first electricity bill to arrive to see if we've started saving money. I've read almost everything she's written Janet and it's been like spending time with old friends as I re-read stuff - it's all so well thought out. Leanne there is nothing like spending time with family. I like to read but have to say I like mystery and crime and that is about it. I can get into a romance novel on rare occasion though. I always enjoy your monthly update. Recaps have a way of reminding us how full and wonderful life is. I would truly love to have solar panels installed but right now, it's out of my budget. Someday I will, though! Since I got back from my hiking adventure in England, I've been staying close to home and close to my little pup, Jemma. I've gotten my Fall decor items out because it's definitely fall here. I've been doing a bit of hiking and a lot of playing pickleball. It's good to be home, Leanne! I'm so glad you're enjoying being home again Jean and I bet your pup is happy to have you - now I just need to go and Google Pickleball! 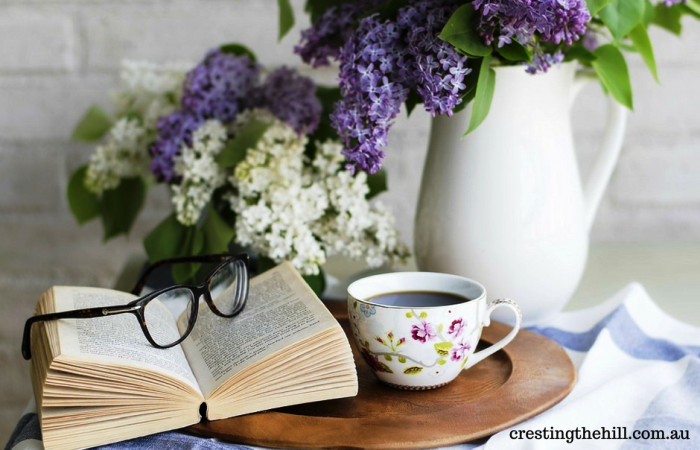 I'd love to have time to read more, I get jealous when I see all the books bloggers are getting read! I guess I prefer the cinema and Netflix though. Glad you enjoyed Cray Rich Asians! Congrats on the new grandbaby - how wonderful! I wish we could have solar panels but we live in an apartment. I'll never forget when we first moved to Australia from the UK and we signed up for our energy providers, the lady told me how much money I'd save compared with UK prices. I roll around laughing when I think of that conversation now because our energy bills are gold plated! I can't wait to see Crazy Rich Asians - I'm secretly hoping that it might be on the plane when I fly back to Oz later this month. A girl can dream, can't she?! Happy October! Our power bills just keep creeping steadily upwards Sam - so I'm hoping the solar panels will make a significant dent in them - and that we'll actually get to use heating and cooling more often - very luxurious if we do! That's a nice wrap up for the month. Family time with grandkids must be nice. I watched Crazy Rich Asians too...it's almost incredible what people with money do. Hope you have a fab October! Thanks Sanch - and yes I must say that Crazy Rich Asians gave me a glimpse into a world that is so far out of my realm wealth-wise - and yet would seem quite normal for people who have millions to spread around - interesting extremes! I enjoyed this post because I feel like we just sat down for a chat to catch up. I love these types of laidback posts. Congrats on the new grandbaby! They are so much fun, I have 6 grands and it is so much fun! Lovely catch up. Solar panels are very popular so I hope you get a good electricity bill after this. Love the generation pics. My mum was a young Great Grandmother and in fact she and my Dad would sometimes mind our first granddaughter (now 21) when her mum was teaching full-time. Thank you for linking up for #lifethisweek. Next week's optional prompt is Best Friend Stories. Denyse. I'm not expecting huge reductions in our bills Denyse, but if we can use the air con more in Summer and heat more in Winter when the sun's out then it's a win in my books. We also need to stay put for several years to reap back the outlay! Nice to catch up. I'd like to go to the movies soon and your Mum certainly looks youthful. It's the opposite in our house. 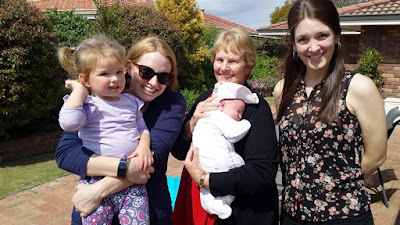 I'm the age of many of my kids' friends' grandparents (thought their friends' parents had them as teenagers and younger than my kids are now so we've worked that part out, but it's still a kick in the guts to be told you're about as old as x's grandma!) It's only recently that I've realised I could become a grandma myself someday reasonably soon and I am actually okay with that. As long as my kids - and theirs - are happy, that's all that matters really. I have a few friends who are grandparents, and they don't like being called those names. They come up with cool nicknames. While that's okay for them, I think this will be one time in my life where I will be okay with whatever the kid/s (if we are blessed) want to call me.